Do I need a professional landscaper to get started on building a pool? No. Quite often the project will take more than one season to “evolve”. 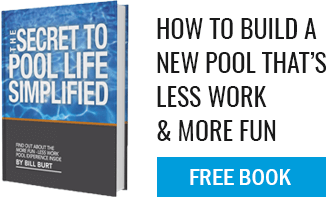 Start with the pool designer and then decide what is most important for you and your family. We have built many many pools where there is no landscaping for the first year (in some cases several years). One can still use the pool without a patio or formal landscape plan and this would allow one to spread out costs over time. We all know how fast time goes. So, plan the pool to meet all your expectations. Like a business plan or a relationship: start with a strong foundation. Everything revolves around the pool and much of it cannot be changed later. If you must “wait a bit” for the fire pit or the outdoor kitchen (for example) to build the pool of your dreams, then do that. Over time the back yard can evolve into the works of art you see on the web site.